The U.S. Department of Labor publishes a Dictionary of Occupational Titles that lists a wide variety of jobs. The dictionary can be searched using a number of different strategies: search by type of job, search by job title, or just search for a specific job. The author of The Science of Miracles has a job that does not appear in this voluminous listing: Joe Nickell is described as the only “full-time, professional, science-based paranormal investigator.” Mr. Nickell has worn many hats in his life including poet, author, sign painter, historical document consultant, and paranormal investigator (his web site also lists “blackjack dealer” and “riverboat manager,” but provides no information about these interesting occupational pursuits). Armed with sophisticated scientific instrumentation, a set of strong observational skills (developed in part by his investigations of fraudulent documents) and the innate intuition of the seasoned and successful investigator, Mr. Nickell rides forth to do battle against all the bad guys of fraud and fakery. Whether he is using a gas chromatograph to characterize unknown materials or a simple magnifying glass to examine documents, the author provides data to support his thinking. When such data is lacking, he is appropriately careful not to leap to unwarranted conclusions. Mr. Nickell is at his best when describing situations where physical evidence can be obtained. Many sites where tears and/or blood are supposed to be involved turn out to be something else entirely. Mr. Nickell’s discussion of the controversy over the Shroud of Turin is one of the many examples of the detailed scrutiny he brings to bear on a supposed miracle. Less satisfying to the reader is the approach taken to miracles described in the Bible. His treatment of the resurrection narratives is weak and does not explore the many discussions raised both in support of and in opposition to these events. Equally dismissive is his approach to glossolalia (speaking in tongues). While he cites a couple of early studies that discount the reality of this practice, he does not bring to bear the available and abundant data that support the reality of this spiritual gift. He also ignores the discussion about glossolalia that can be found in the Apostle Paul’s first letter to the Corinthian church (I Corinthians chapters 12 and 14). Careful investigative work is seen in the section on divine healing. Mr. Nickell focuses on two modern-day “healers:” Peter Popoff and Benny Hinn. In both cases, his close observation of the techniques used raises serious questions as to the effectiveness of these preachers. He clearly demonstrates that Popoff was involved in fraud, both in his claims of divine knowledge and in his everyday practices. Benny Hinn is still going strong, but his results are also questionable. Mr. Nickell describes in detail his follow-up of one Hinn crusade, showing that no real healing had taken place in the few people that the Hinn group could provide names for. Joe Nickell is not alone in his skepticism about Benny Hinn. Most reputable Pentecostal and charismatic church leaders have serious questions about both the methods and the results of this controversial pastor. Joe Nickell is a thorough investigator and a great storyteller. He covers a wide variety of phenomena in an engaging and interesting way. 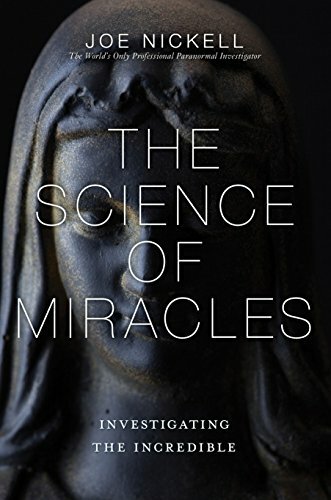 The Science of Miracles is a worthwhile and challenging book for both the skeptic and the believer.